‘audible color’ is an audio-visual instrument developed by hideaki matsui and momo miyazaki at the copenhagen institute of interaction design. the device uses a camera to recognize shades as sounds using detection and generation controlled with processing code. 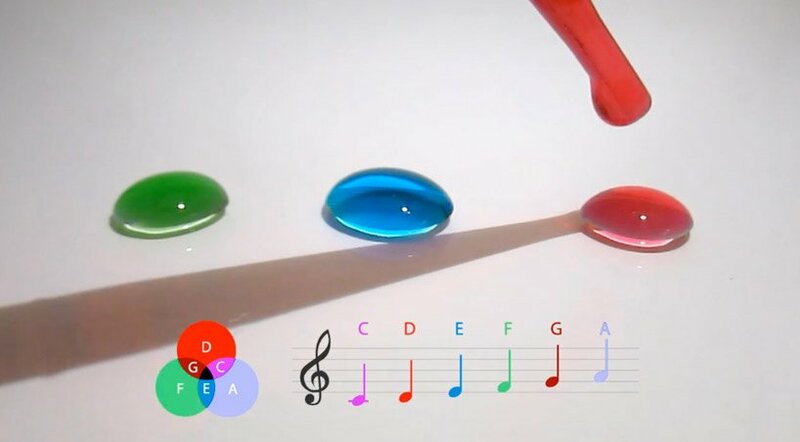 primary colors red, green and blue correspond with certain music notes. when the tones are mixed, the resulting secondary hue produces a melody. the size of the droplets influence the volume and frequency of the notes played.